$1 Superb Adult Bear Shifter Romance Deal! $1 Superb Bear Shifter Adult Romance Deal! 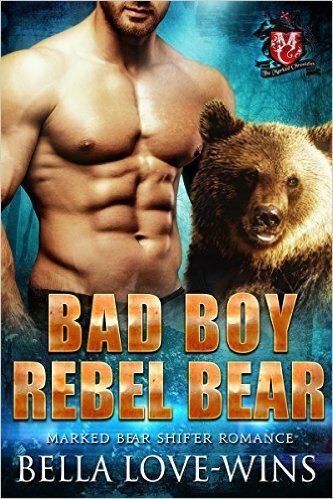 *Bad Boy Rebel Bear (Marked Bear Shifter Romance Book 3) (Deal, Not Free) by Bella Love-Wins. Price: $0.99. Genre: Adult Romance Deal of the Day, Sponsor, Bad Boy Rebel, Bear Shifter Romance, Werewolves & Shifters, Paranormal Romance. Rated: 4.7 stars on 17 Reviews. 147 pages. ASIN: B01DUM67PG. Reviewers love it: This was a smoking good read! I absolutely LOVE shifters and firefighters and this book hooked me from the beginning! It has an awesome ending and is definitely a must-read! The romance will blow your mind! Another great book from Bella Love-Wins! Please Note: Although it is the third book in the series, it can be read as a standalone. *Beautifully Broken: Young Adult Paranormal Romance (Spellbound Prodigies Book 1) by Sherry Soule. Price: Free. Genre: Paranormal Romance, Sponsor, YA Fantasy, Coming of Age. Rated: 4.2 stars on 63 Reviews. 287 pages. ASIN: B0058DE8YI. Reviewers love it: Wow! What an amazing read! I am keeping my eyes peeled for the second book, Shattered Silence! Truly amazing! This is another home run for Sherry Soule. It keeps getting better and better! I have to recommend this book to young adult and older readers alike! A Savage Exile by Diane Scott Lewis. Price: Free. Genre: Paranormal Romance, Vampires, Historical Romance. Rated: 4 stars on 6 Reviews. 183 pages. ASIN: B00O2U96FE. Crusader (Archangel Book 1) by Vijaya Schartz. Price: Free. Genre: Paranormal Romance, Romantic, Angels. Rated: 4.6 stars on 5 Reviews. 215 pages. ASIN: B004HO69RS.